Turkey chin or turkey neck is the excess loose skin at the front of the neck. This is like a turkey wattle hanging loosely in front of your neck. The platysma muscle may be toned down but the loose skin such as this turkey chin that covers the platysma will still remain. To remove this loose skin, a surgery may be recommended especially if the skin really has to be lifted up. It may cost you much money but the result of the surgery will be money well spent. There are also some turkey chin exercises that you can do for your neck skin. But before you do the exercises, you should be aware of the important facts about your neck. The neck is a sensitive formation of bones with delicate nerves that might be harmed by harsh exercises. 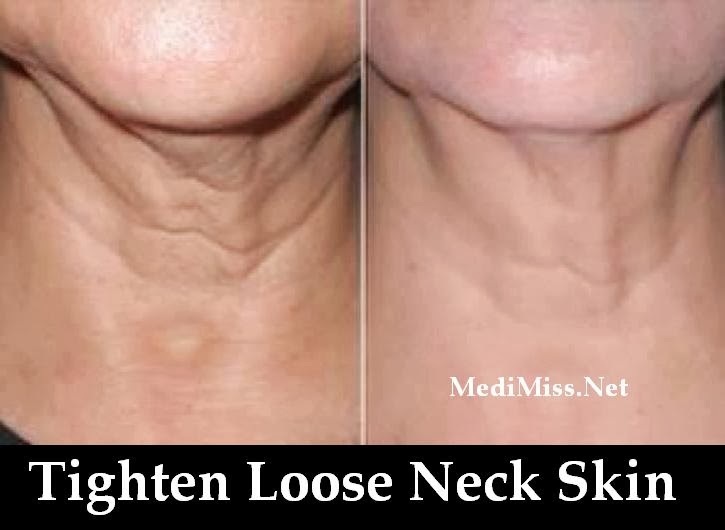 The neck is the first area that gets older and gain weights easily. Although neck exercises are helpful in removing the double chin fats and the loose turkey neck skin, these can also give you pain when done in the wrong way. Be extra careful as you do the neck and exercises to avoid pain in the neck. There are turkey chin exercises that you can apply for your neck. First, lift up your lower lip and create wrinkle in the skin of the chin to stretch and contract the muscles. Hold the contraction for up to a few seconds. Then lower your chin without moving your head. When you feel the contraction, hold it for a few seconds then relax. Repeat this exercise as many as you can but do not overdo it to avoid pains. Second, sit or stand comfortably. Lean your head backwards, and then press your tongue to the inner upper part of your mouth. When you feel the muscles tighten, bring your chin downward to your neck then upward. Repeat the procedure up to ten times each day. Third, position your head in a comfortable spot. Lean your head backwards. Slowly move your lower lip to your upper lip, try touching your nose with your lower lip. Then stick out your tongue once in a while to make the facial muscles move. Then force back your forehead with resistance. After some stretch and contraction, try to relax for a few seconds and repeat the same procedure for about ten times. After doing consistently these regular turkey chin exercises, you will notice changes in your loose skin. It may not be noticeable at first because loose skin is hard to treat. Just continue the exercise until you reach your desired neck structure. Neck exercises are not only for people who have saggy neck skin or turkey loose neck. Everyone should have a regular neck exercise to make the neck flexible and strong as it supports the head and the posture of the whole body. Without regular neck exercises, the body will tend to be weak and the neck will be exhausted easily. Make exercises your regular habit to maintain a firm muscle and avoid development of double chin.